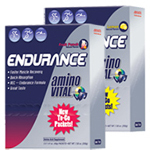 2012 NEW and Improved 1st Endurance MultiV is designed to meet the unique requirements of endurance athletes. NEW Features include clinically effective doses of iron, vitamin K2, vitamin D, and unparalleled antioxidant protection. 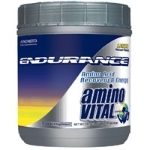 In addition, Endurance MultiV also contains special digestive enzymes that improve carbohydrate utilization and time to exhaustion, Green Tea for improved endurance capacity and fat utilization, and Zinc for enhanced muscle recovery. It's estimated that 30-50% of endurance athletes have depleted iron levels. When iron levels are low, less oxygen is delivered to the muscles and aerobic capacity declines. To ensure peak performance, MultiV is formulated with a highly bioavailable Iron Amino Acid Chelate that's also gentle on the stomach. New Improved VANTAGE VO2 Max(120 capsules) is a cutting-edge product, and is a unique, clinically profiled blend of safe and effective nutrients that BEAT THE BURN increase energy and endurance during periods of intense and extended activity, during training and competition. VO2 Max is backed by a wealth of research to support its potent and immediate effects on performance. Its a nutrient dense ergogenic aid that brings immediate results! Ideal for athletes and fitness enthusiasts. Its a must to prevent muscle soreness and cramping. 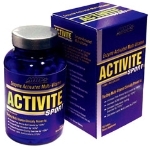 It reduces lactic acid build-up,cleanses ammonia burden, thereby enabling intense exercise activity. SPORTQUEST Interphase Hypertrophy Revovery�Matrix -�SPORTQUEST Interphase Hypertrophy Recovery�Matrix has reformulated. The Interphase Hypertrophy Recovery�Matrix is great to use to help maintain, build, recover and train hard. INTERPHASE Hypertrophy Matrix: use anytime to prevent delayed onset of muscle soreness, prevent inflammation caused by intense training, increase energy, support immune function, increase stress tolerance, improve fat burning, increase muscular strength & endurance. How well you perform tomorrow depends on how well you recover today, which is why you can't cut corners when it comes to your post-workout fueling. Recoverite supplies your body with the proper 3:1 ratio of complex carbohydrates and the highest quality whey protein isolate, along with generous amounts of multi-beneficial glutamine (a whopping 3 grams per serving! ), the potent antioxidant l-carnosine, and a full-spectrum electrolyte profile. The result is rapid and enhanced recovery, which allows you to obtain the maximum value from all your hard workouts, ideally prepping your body for your next workout or race. Make sure you're recovering right with Recoverite and remember, it makes a superb meal replacement drink as well. Train hard, recover right today and feel great tomorrow. GU Energy Mixed Flavor 24 Pack - GU Energy Gel provides athletes with a dose of 100 calories to deliver high-quality, easily-digested and long-lasting energy for athletes in every sport and at all levels. Everything inside each packet of GU is engineered to do one simple thing: provide your body with the essential nutrition it needs to keep going for miles and miles and hours and hours. It goes down easy, and it goes to work fast so you don't have to slow down. GU sports energy gel is a favorite of triathletes, cyclists, runners and adventure racers, and endurance athletes everywhere. Used to energize you during exercise, GU energy gel increases endurance during exercise by providing your body with an energy source that helps you keep your energy stable and provides essential electrolytes that help hydrate and balance the body. Gatorade G Series Pro Pre Race Fuel Pouch contains a concentrated blend of B Vitamins and Carbohydrates (quad-carb glycogen loading) as additional energy and to help sustain your body's ability to deliver additional carbohydrates during competition. Take 15 minutes prior to a race or an event. However you prepare, Gatorade D Series Pro Pre Race Fuel Pouch will make preparation pay off. Bare Nutrition Recovery Brik is a ready-to-drink post-workout milk beverage which naturally contains all the protein, carbohydrates, vitamins and minerals needed after physical activity. BASE Multi Vitamin is a synergistic and comprehensive combination of vitamins, minerals and other nutrients carefully formulated and specifically designed to support the body's normal defenses against excess free radical production associated with strenuous aerobic exercise.